The 157th meeting of State Level Bankers Committee held on 07 March 2006 resolved to establish a State Level Training Institute, namely Andhra Pradesh Bankers Institute of Rural and Entrepreneurship Development (APBIRED). Accordingly Andhra Pradesh Bankers Institute of Rural and Entrepreneurship Development has been set up jointly by Government of Andhra Pradesh, National Bank for Agriculture and Rural Development (NABARD) and five leading Public Sector Banks working in the state viz. Andhra Bank, Canara Bank, Indian Bank, Indian Overseas Bank and State Bank of Hyderabad. 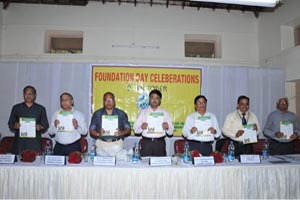 Later, Corporation Bank joined the sponsors in October 2008. The sponsors have provided the start up corpus to the institute and are also sharing a large part of recurring expenditure of the institute. The Institution was inaugurated by late Dr.Y.S.Rajasekar Reddy, Honrble Chief Minister of Government of Andhra Pradesh on 09 October 2007. The institute, first of its kind in the country, is registered as a not for profit society under Andhra Pradesh Societies Registration Act, 2001(Regd. No. 1635/2007). The society is granted exemptions under section 80G and 12 A of the Income Tax Act, 1961.